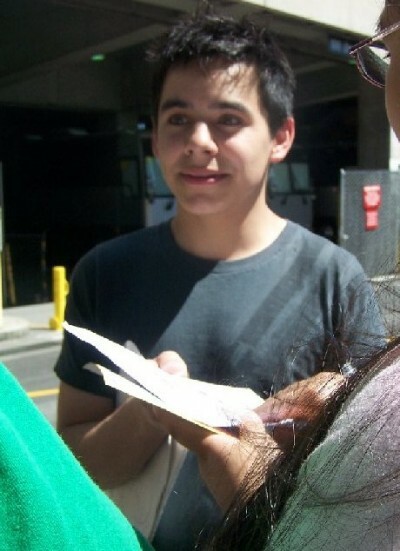 “The Early Days”This photo of David brings back a slew of good ole memories for me and I’m sure you all will agree…some really good memories. I love this photo and I really miss all the photos and videos of David chatting with fans. Thanks for posting this, happy memories! Thanks kimbee! And I know what you mean! I miss these videos and photos too. I remember being so anxious all day to be able to find more videos of David at the signings. I loved seeing him being himself. Maybe we’ll see more in the future. Oh, WOW….you’re right on this 1. What a great pic! WG, thanks for your comment! I think the good thing is, no matter how old David gets we will always have these early videos and pictures to remind us of our start or should I say ‘star struck’ time with him when he was ‘so young’. I bet he’ll still be the same ole David though. Aw, this picture gives me a strong feeling of nostalgia. The summer of ’08 sure were the ‘good ole days’ for David’s fans! We were seeing vids of him at all those cities every few days. It’s a summer he’ll remember too, I’m sure. Yes, I’ll always keep these first pictures of David. I wonder and I pray that we’ll have the chance again to see him like it was on the 08 tour.